Dellarontay Readus, Melrose High’s valedictorian and living proof of what its graduates can be, looked at the bright gift bags in front of him Tuesday, wiped a tear or two away, and in a few well-considered sentences, summed up his gratitude. Readus, 17, on his way to Stanford University on a full academic scholarship, bought two secondhand laptops this winter at a yard sale. One was for parts; the other was the one he hoped to refurbish and take to Stanford, California. When Sharon Griffin, superintendent of Shelby County Schools’ iZone program, got word of this, she set out to shake things up. Tuesday, with a handful of SCS administrators, school board members and at least one proud alum — Judge Earnestine Hunt Dorse — in the school library, Readus got the VIP treatment. “On behalf of Samsung, we are going to present you with a technology pack: a Samsung 10.1 inch android tablet, a Samsung series 2 Chromebook, and because two devices cannot possibly be enough to for any of today’s students, we’re adding a laptop with a Windows operating system,” said Diane Ashby, national manager for Samsung’s education strategies division in from Atlanta for the presentation. There were also gift cards from a SCS central office collection, including a contribution from Supt. Dorsey Hopson. “And this is just the start of the support. We’re also going to buy him a bike. And the bike he needs is going to cost $800 to $1,200,” Griffin said. Readus turned up on the collective radar last fall when a minister in a food line talked to him long enough to note his promise, then told him to call Memphis Challenge, a group working since 1989 to identify talented minority students, get them to college and then back to Memphis to work. “I knew he had a story,” executive director Cassandra Webster told the gathering. “I’m often reminded of the African proverb: When spiderwebs unite, they can tie up lions. Dellarontay, we’ve got you,” she said. Since then, he’s been named one of three Keeper of the Dream recipients by the National Civil Rights Museum and offered additional free rides to Harvard and Princeton universities. He’s also become the celebrated symbol of what can be at Melrose, a high school finishing its first year in the iZone, SCS’s treatment for schools performing in the bottom 5 percent. Readus scored 31 on the ACT; a perfect score is 36. He’s also moved 21 times in his life, which means that school has been a series of starts, stops and interruptions. The hardest part of his life, he said, “is staying focused in school. Readus and his mother, who’s been blind from birth, live on food stamps in a rundown apartment at Mississippi and Kerr. To contribute to their income, he tutors in math. He also wants people to know the rumor-mongering about Melrose and Memphis in general is more toxic than people know. All games will be recorded and made available online to view or download. Myah Taylor's Jersey to Hang in Women's Basketball Hall of Fame "Ring of Honor"
WOW! 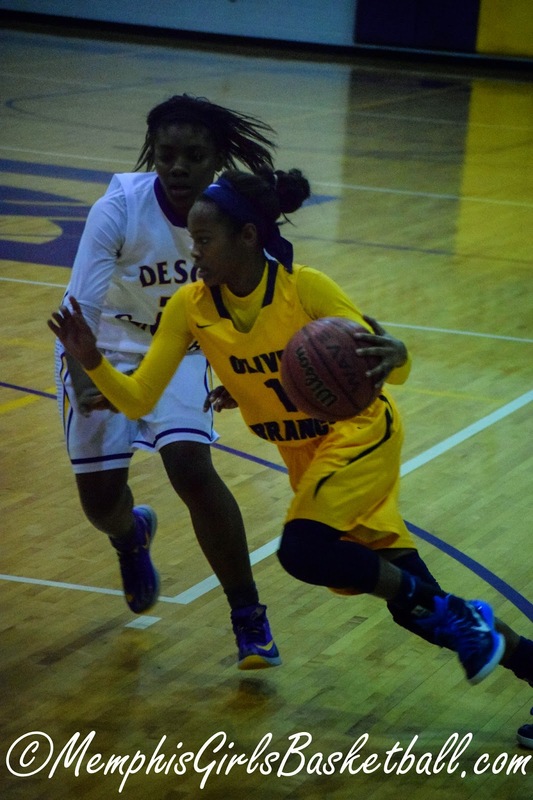 What a year Olive Branch's Myah Taylor is having. Recently, I added a post on my website PatoshaJeffery.com called, Success is not an Accident. This young lady is proof that Success is not an Accident. 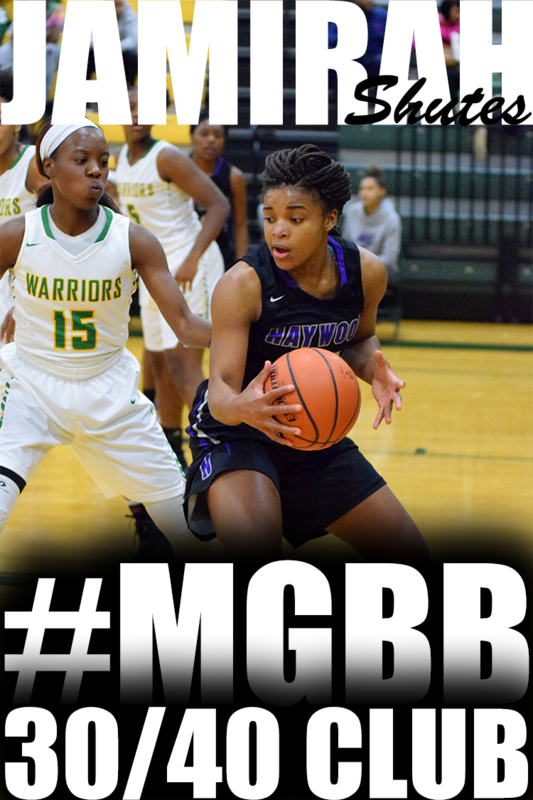 Myah is the latest player I've profiled on the #MGBB Mix. A couple of days after completing her highlight, I ran across a couple of her workout videos. To my amazement, I realized that she plays how she trains. 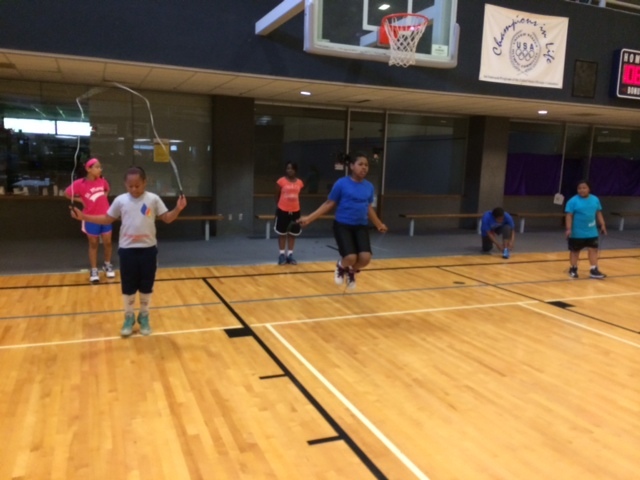 The moves that she make on the court is what she is practicing during her workout. And the extra WORK she put in is paying off. Earlier this week, I received an email from Myah's dad, John Taylor, sharing the news of the invitation to have her jersey displayed at the Women's Basketball Hall of Fame in Knoxville, TN. Class of 2018 point guard Lauren Gross (Northpoint/Memphis Elite-Williams) of Southaven, Miss., proved why she is an up and coming prospect. 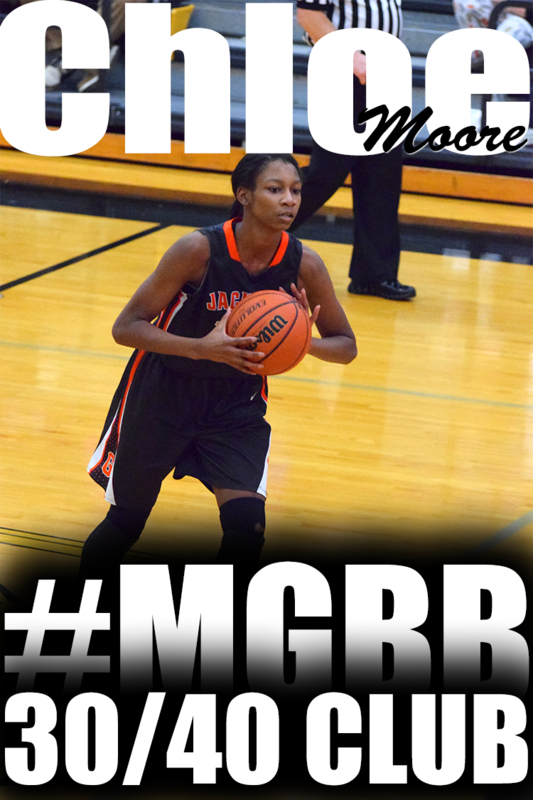 Her ability to see the floor and deliver the ball makes her a teammate that everyone would like to play alongside. A familiar face once again will grace the sidelines for Austin Peay State University women's basketball team as David Midlick has been named the 10th head coach in program history. Former athletic director Derek van der Merwe participated in a nation-wide search that yielded a diverse, well-qualified pool of candidates. Midlick's track record of success as a head coach, commitment to building a winning program and knowledge of the game made him an excellent fit for the position. "Today, the Austin Peay State University athletics program takes another step in building a culture of excellence with the hiring of David Midlick as its head women's basketball coach," van der Merwe said. "The Governors have hired an individual who embraces excellence in the classroom, in the community, and in competition. His resume, education, experience, and reputation in this community is that of a proven winner who has a passion for this University and its students. We are fortunate and excited to have him lead our women's basketball program." "We want to make sure we support (our student-athletes) in everything they do," Midlick said. "When parents entrust their daughters to us for four years, we're going to do everything possible in making sure that their academic dreams come true. "We're going to have a culture of teamwork, effort and attitude. Those are the three things that we can control every day. We want them to be a team, not just because they're working together, but because they trust and care about each other. We want them to give nothing but 100 percent at an elite, championship-level every day in the classroom and on the court." Midlick comes to APSU after serving one season under Melissa McFerrin at Memphis, where he worked with the post players, recruited a seven-state area and served as the team's academic, strength and conditioning and training room liaison. Under Midlick's tutelage, the Tigers post-players improved their collective field-goal percentage in 2014-15, and Memphis saw its opponent scoring average decrease by more than five points per contest. Fans of Austin Peay will know Midlick's name from his long-time association with Govs and Lady Govs basketball. Midlick got his college coaching start as a volunteer assistant for Austin Peay's men's basketball team in 2003, holding that position through 2006 during an era that saw the Govs finish unbeaten in Ohio Valley Conference play in 2003-04 and advance to two conference tournament championship games (2004 and 2006) and one National Invitational Tournament appearance in 2004. The Ole Miss alum returned in 2010 as an assistant coach for Austin Peay's women's team. In his two years, the Lady Govs qualified for back-to-back OVC Tournament's, with Midlick helping oversee an eight-point decrease in opponent's scoring average between his first and second season's. Jasmine Rayner, a member of Austin Peay's 1000-point club, enjoyed her finest season (10.5 ppg, 7.7 rpg) during Midlick's first year as an assistant for the Lady Govs. A year later, Midlick's charges posted a 24-6 mark and advanced to the GSC Tournament final, falling 67-59 to West Florida. During the 2013-14 regular season, Delta State climbed as high as No. 9 in the USA Today / WBCA National Poll, with Walton eventually earning GSC Player of the Year; Rhodes also was tabbed as a first-team all-conference selection. The hallmark of Midlick's most successful teams has been defense, which that 2013-14 Lady Statesmen squad certainly displayed. That season, Delta State led NCAA Division II in field-goal percentage defense (33.5 percent) and points allowed per game (53.3 ppg). Midlick is no stranger to the OVC. In addition to his previous time at Austin Peay, Midlick's first full-time coaching position came at Tennessee State, where served as an assistant for four seasons. Midlick wore many hats during his time with the Tigers, coaching both posts and forwards, in addition to scouting, recruiting, scheduling and admission and eligibility tracking duties. Team Tennessee Glory Jackson So. 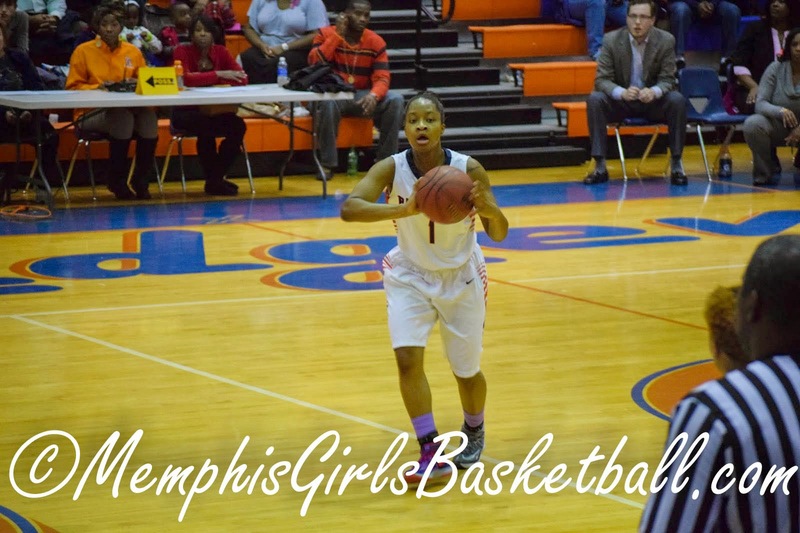 Team Tennessee Glory Richardson Jr.
Memphis Lady Magic - Joe Smith Div. Team Penny (White)- Holmes - Joe Smith Div. 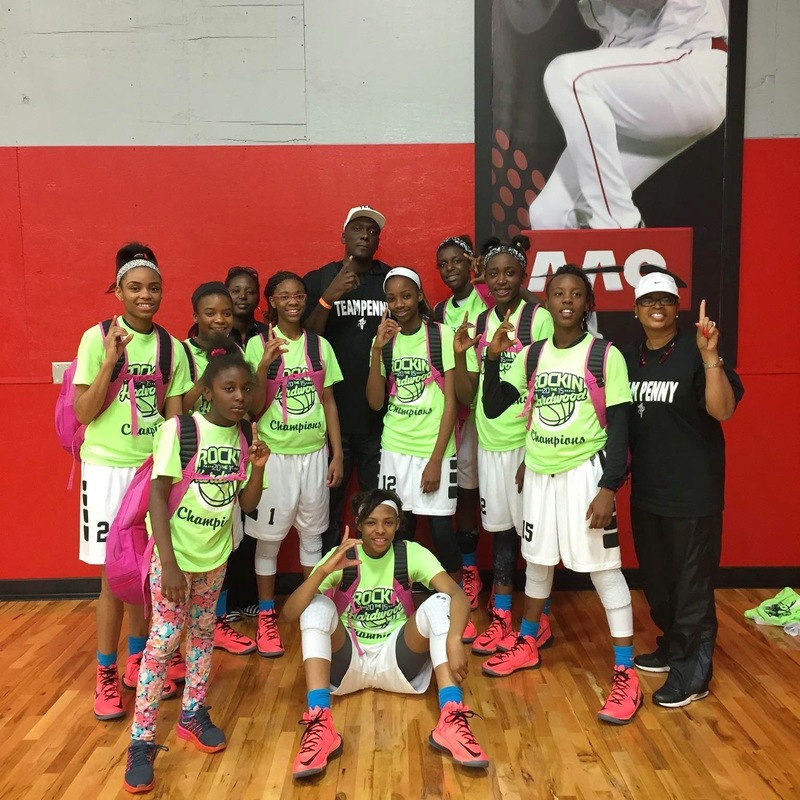 Team Penny Freshman - G14 Bob Myers Div. At the season-opening track and field jamboree at Southwind three years ago, a willowy freshman from Whitehaven named Maia McCoy settled in with the other competitors for the start of the 100-meter dash. But what happened next is what Sharif remembers best. McCoy — despite spotting the rest of the field a good 10 meters because of her hesitation — ran down the other competitors to win. Saulsberry was right. McCoy has developed from hesitant freshman to a senior who’s one of the finest sprinters ever to come out of the Memphis area. And with high school track heading into the postseason, she’s poised to add to her legacy. As a sophomore, she won the AAA state titles in both the 100 and the 200 on the way to being named Best of the Preps track athlete of the year. Last year, she repeated those feats while also running a leg on the winning 800-meter relay team as Whitehaven finished runner-up in the team competition. It’s been more of the same this year. She was voted Mile Split’s national performer of the week after winning both sprints and running on the victorious 1,600-meter relay team as the Tigers took second at the prestigious Sugar Bowl Classic in New Orleans last month. She then won the 100 — the 200 wasn’t contested — and added two relay wins as Whitehaven won the team title at the Jackie Joyner-Kersee Relays, ending a 24-year winning streak by the host school, East St. Louis. Not bad for a basketball player who had to be coaxed out on the track in the first place. But despite being rough around the edges, Sharif and Whitehaven sprints coach Brandon Jones could see McCoy’s natural ability. So they began to work on harnessing it, the first step being to lose the basketball shoes and get a pair of proper spikes. “Each year I try to pick out something different to work on,” said Jones, who competed in the jumps at Middle Tennessee State after a standout career at Cordova. As a freshman, McCoy finished sixth in the 200 at state but didn’t even qualify for the 100 finals. Janel Pate of Nashville Hillsboro took both events, and even though McCoy made a quantum leap in her sophomore year, her confidence was still playing catch-up. “After I won the region (meet) my sophomore year I said, ‘Well, that’s the last I’ll be winning,’ ” said McCoy, knowing that she’d still have to deal with Pate for the next three years. McCoy has run as fast as 11.5 in the 100 and 23.9 in the 200 and currently has the top 200 meter time in the state (24.14), a result that also puts her among the nation’s best. She’ll continue her career at the University of Tennessee after finally settling on Olympic aspirations over WNBA dreams. With four individual state championships already in the bag, McCoy said she’s looking to end her career in style at next month’s Spring Fling. She’ll be targeting the state records of 11.46 and 23.86, both set by Chattanooga Howard’s LaQuisha Jackson in 2010. 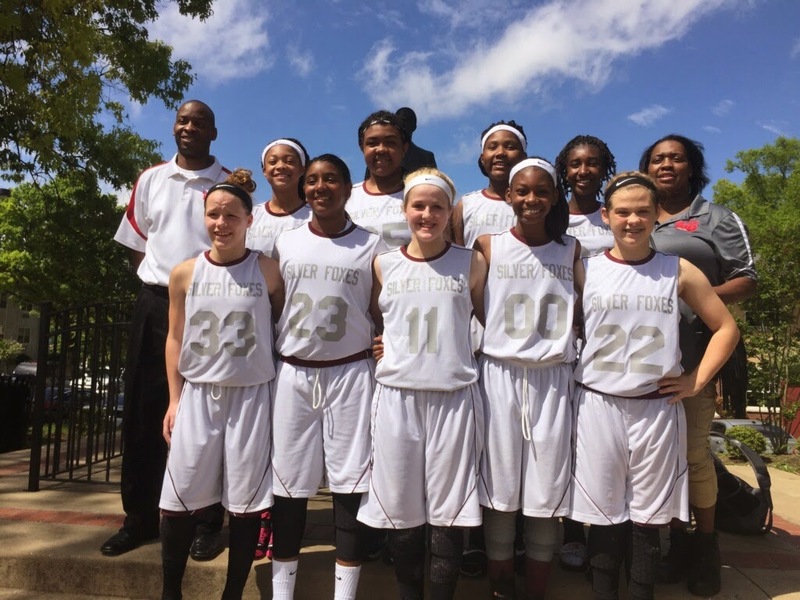 The Lady Silver Foxes 7th grade AAU team traveled to Memphis, TN this past weekend to compete in the 8th grade division of the MAYB Spring Tournament. 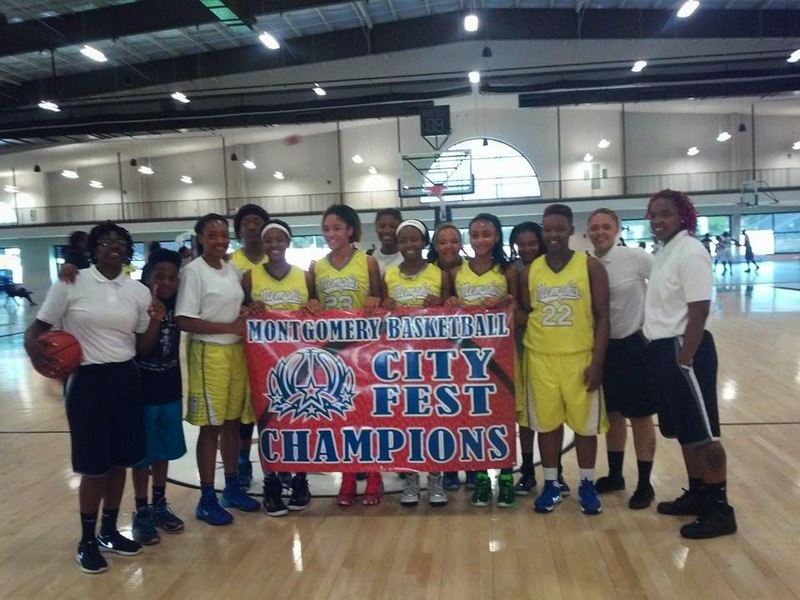 The Foxes took the title with a 4-0 record after defeating the Lady Magic 40-18, Memphis Elite 36-22, Alabama Torch 45-21 and the Memphis Lady Mambas 46-24 in the championship. Team members are; #00 Chloe Moore (Greenfield), # 11 Tristan Trevathan (Dresden), #33 Alexis Anderson (Gleason), #25 Madison Johnson (Milan), #2 Yasmine Panky (Humboldt), #22 Hallie Scott (Lexington), #34 Teiona Wedley (Humboldt), #23 Kyla Taylor (Lexington), and #32 Sadie Williams (Memphis White Station). Congrats to Team Tennessee Glory Jr./11th grade squad on winning the 11th grade division of the Dream Classic tournament! You don't have to take my word for it that this young lady can play. When you are named Mississippi's Gatorade Player of the Year. When you are a finalist for the Commercial Appeal's Best of the Preps Basketball Player of the Year. When you are named one of the Clarion-Ledger's Dandy Dozen -- You can play!.. Did I mention that she did all this as a sophomore? Ask Po Po #10: What are Womens Basketball College Coaches looking for when they Evaluate You? The University of Memphis women's basketball team added a pair of international players it was announced by head coach Melissa McFerrin, Friday. 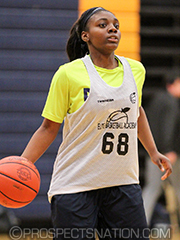 Memphis is adding a second Canadian to the roster with the addition of Toronto's Loysha Morris (Toronto, Canada/Downsview HS/Garden City CC), a 5-8 combo guard who played last season at Garden City Community College, where she averaged 16.4 ppg and shot 41 percent from three-point range. She also added 3.6 rebounds a night and 1.7 assists per game. "Loysha will provide us with quickness, versatility and the ability to create in the open court for herself and her teammates," McFerrin said. "She also prides herself on her defense." A second team All Jay Hawk Conference honoree last year, Morris was the sixth best guard and 15th overall in the latest junior college player report. The daughter of Kerrol Morris, she was also recruited by Toledo, Minnesota, Virginia Tech and Arizona. She joins fellow Canadian Cheyenne Creighton on the Memphis roster. The Tigers went overseas for the first time in McFerrin's era at Memphis to sign a player for the second signee of the signing period. 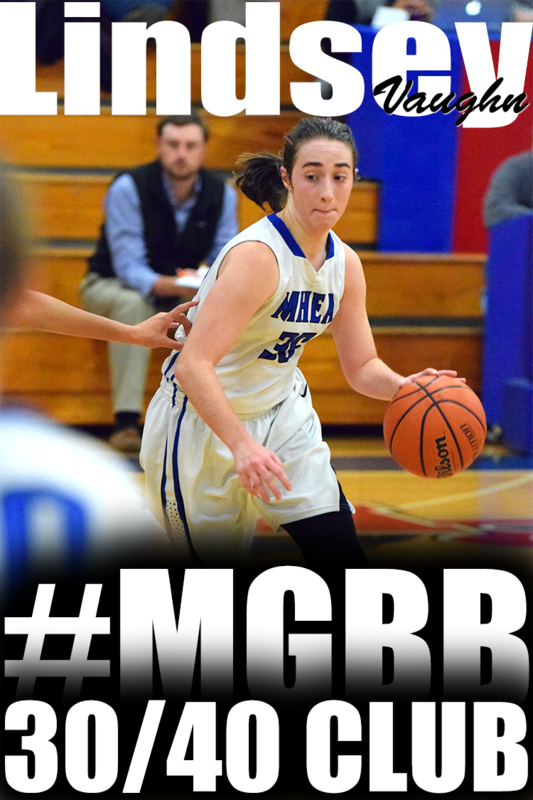 Milena Bajic, a 6-1 forward from Podgorica, Montenegro, will also be a Memphis Tiger beginning in 2015-16. Bajic, also a member of the Montenegro U18 squad at the European Championships, averaged 13.7 points per game and 6.9 rebounds per game. 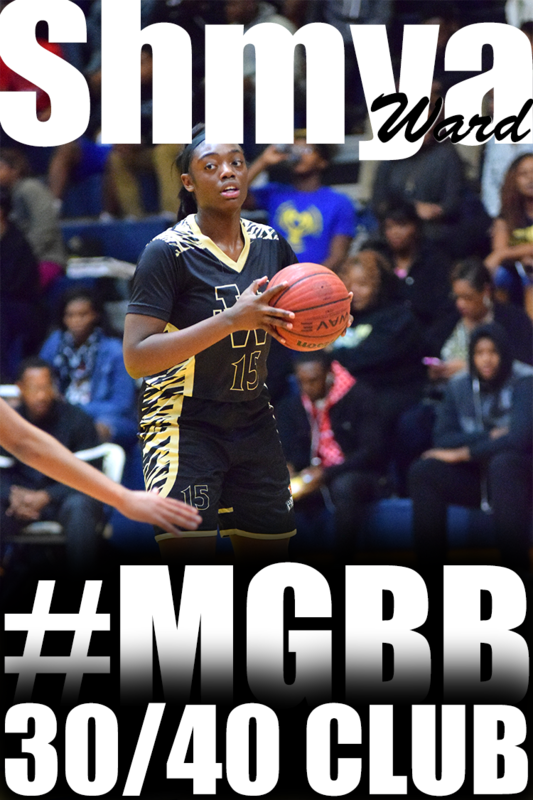 She opted to turn down a four-year professional contract to play college basketball and choose Memphis from other schools such as Miami, Florida State, Robert Morris and Virginia Tech. "Milena is a very fundamental and versatile forward," McFerrin said. 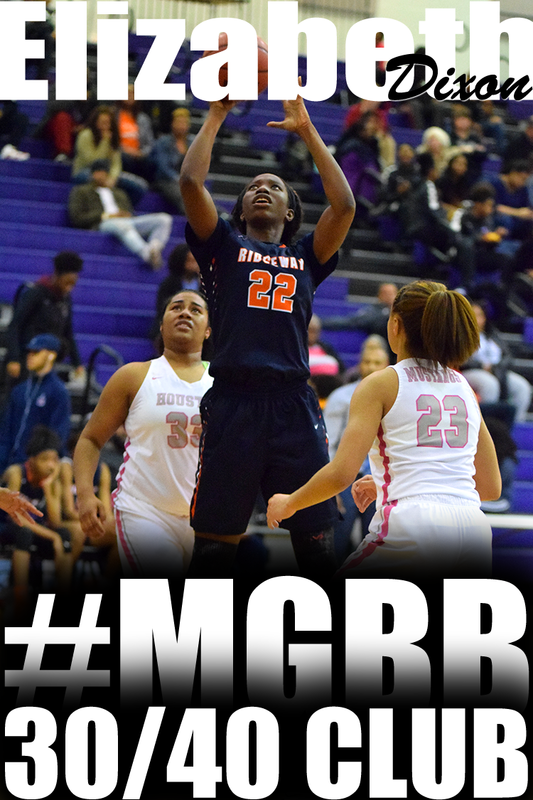 "Her size and skill set will allow us to stretch the floor. Her work ethic and character is what really made her stand out for us." The daughter of Gordona and Darko Bajic, Milena was recently named to Montenegro's U20 National Team that is preparing for the EuroBasket tournament in June. She will be the youngest women's basketball player in the tournament field. The late spring signees join Nashville's Brianna Porter (6-3, Post/University School of Nashville) on the Memphis roster for the upcoming 2015-16 season. With no seniors on this year's roster, Memphis will return 10 letterwinners from this year's roster, including two-time all-American Athletic Conference honoree Ariel Hearn and rising senior forwards Asianna Fuqua-Bey and Brianna Wright. The players of the year will be announced at the 46th annual awards presentation on June 5, 2015, at The Duncan-Williams Performance Hall at Germantown Performing Arts Center. More readable version is available here (pdf). Named Memphis' Most Prominent Trainer. His clients include Penny Hardaway, the Lawson Brothers, Kentucky bound Skal Labissiere, recently NBA Draft declared, Murray State's Cameron Payne. 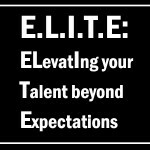 Will lead speed and agility development at the E.L.I.T.E. Academy!! It only took seeing Tennessee-Martin play in person to convince Emanye Robertson that was the place for her. The White Station standout, one of the top seniors in the area, signed with the Skyhawks on Wednesday on the first day of the late signing period. She said College of Charleston, Arkansas State and Southern Illinois were also interested but that UTM’s style offered her the best fit. “They press the whole game,” she said. “And I play aggressively on defense. And I also attack (the basket) and get it out to the shooters. I just need to work on my shot and work on communicating better. 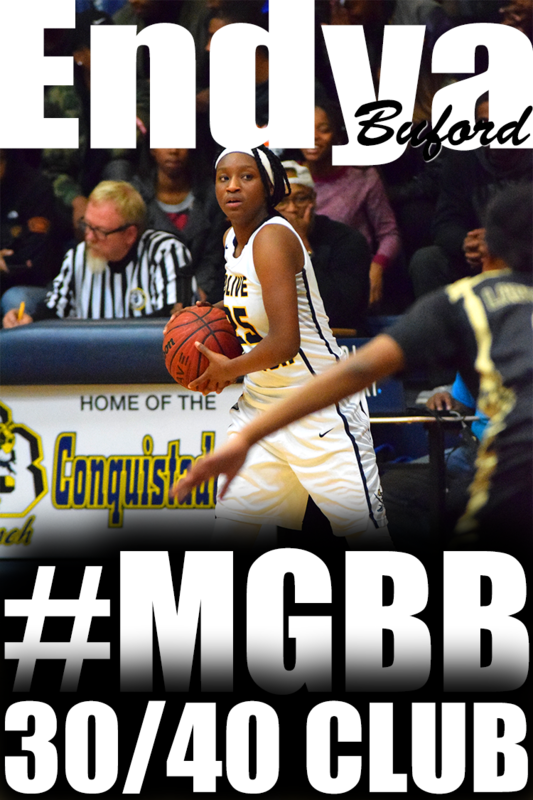 A three-time All-Metro selection, Robertson joins a Skyhawks team that is already well-stocked with area talent, led by College Sports Madness’ midmajor Player of the Year Ashia Jones from Covington. Robertson averaged 18.3 points per game for the Spartans this season. Her signing was just one of several notable ones around the area. Kylan Phillips, who helped Mitchell win its second straight Class A championship last month, is headed to Mississippi Valley State. A tenacious on-the-ball defender, the 5-9 Phillips — a two-time All-Metro selection — is following in the footsteps of his father and coach Faragi, who was a standout on Valley’s 1996 NCAA tournament team. Former Houston standout Jerry Johnson Jr. will play at Fairfield. A strong combo guard with a nice touch from long range, the 6-2 Johnson was an All-Metro selection at Houston before spending the 2014-15 season at Notre Dame Prep in Fitchburg, Massachusetts. Trezevant’s girls team had three players sign. 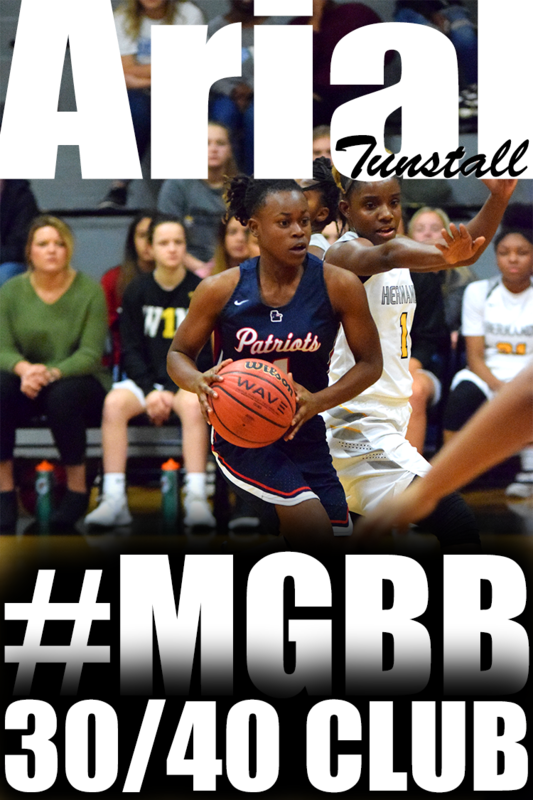 All-Metro guard Andrea Willis is headed to Mississippi Delta CC while inside players Kourtney Waltson and Marcee Williams signed with Lincoln Trail CC in Robinson, Illinois. Elsewhere, MUS track standout Chris Davis signed with Navy. Davis is the defending Division 2 champion in the 400 meters, while finishing second in the 200 and third in the triple jump. 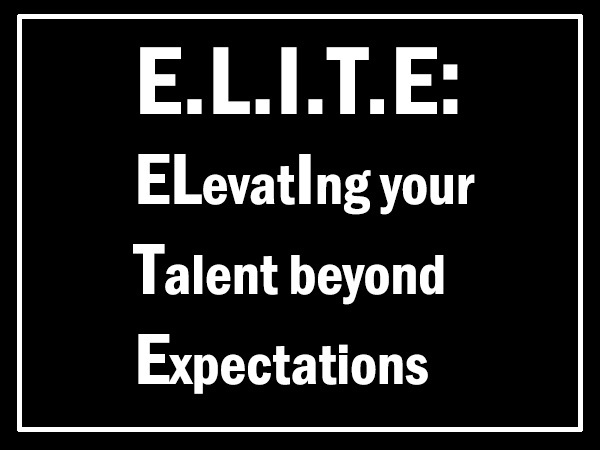 Former college coach with over 9 years of experience and professional playing experience will lead post development at the E.L.I.T.E. Academy!! ProspectsNation.com released their report from the Rockin' the Hardwood event. 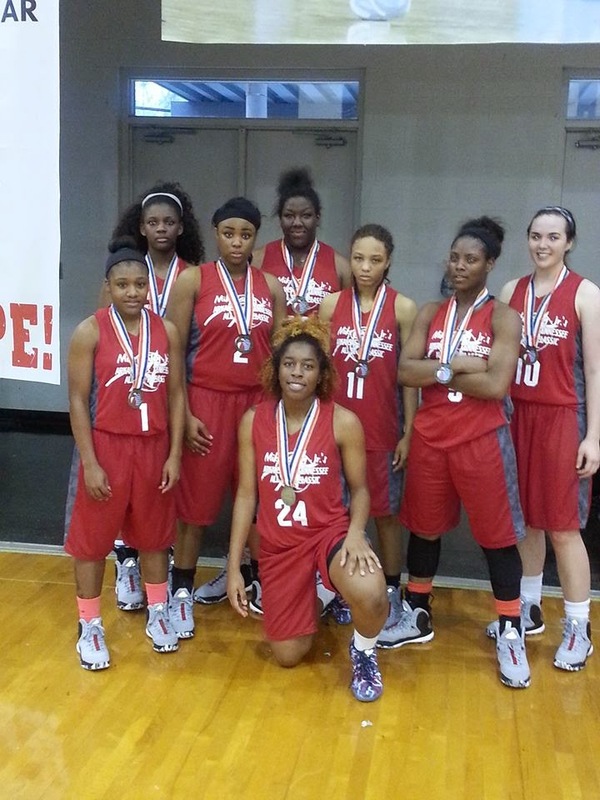 Brandi Beasley (Ridgeway/2016) and Tijuana Griggs (Central/2016) caught the attention of the evaluator, Chris Hansen. One of the most physically imposing teams in the field was Team Penny and part of that was the stout play from guard Brandi Beasley. From no-look passes to and-one finishes, Beasley was a force. 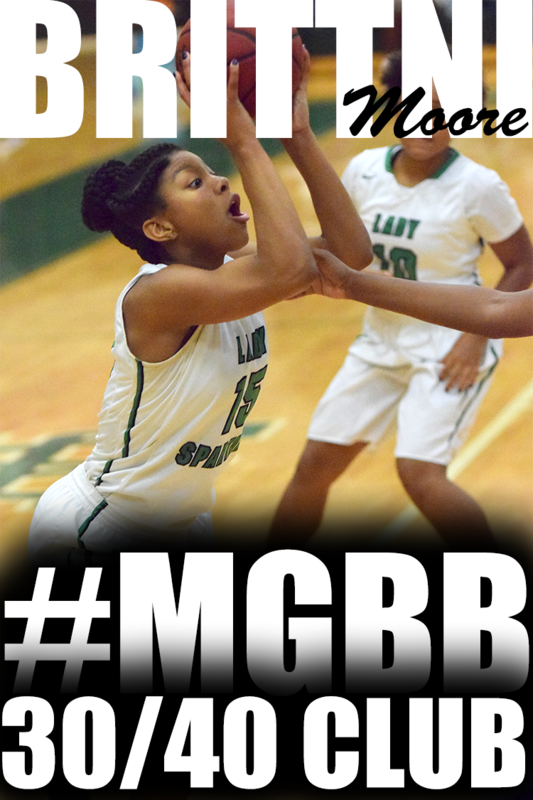 For those looking for a shotblocking and mobile post in the rising senior class, Team Penny’s Tijuana Griggs may fit the bill. The 6-4 center blocked and bothered countless shots and showed good hands in the post on offense as well. Memphis Lady All Stars, Memphis Lady Mambas-AW, Team Memphis Elite-Jones, Team Penny-Daniels, Team Penny-Williams, Team Penny-Holmes will be traveling to Fayettville, AR this weekend to participate in the Rockin' the Hardwood 6. Good luck to all the teams!!! Send me updates!! Former college coach with over 24 years of experience including Sweet 16 and Elite 8 appearances will lead guard development at the E.L.I.T.E. Academy!! Ask Po Po #9 Special Edition: What are You doing TODAY to Prepare Yourself for the FUTURE? What are you doing TODAY to help you prepare for next basketball season? ProspectsNation.com released their underclassmen evaluation from the CoachHemi.com Showcase. Jayla Hemingway (Schilling Farms/2019) and Alexis Taylor (Collierville/2018) put in work during the event. A player that we will be talking about consistently in years to come is Jayla Hemingway of Collierville, Tenn. 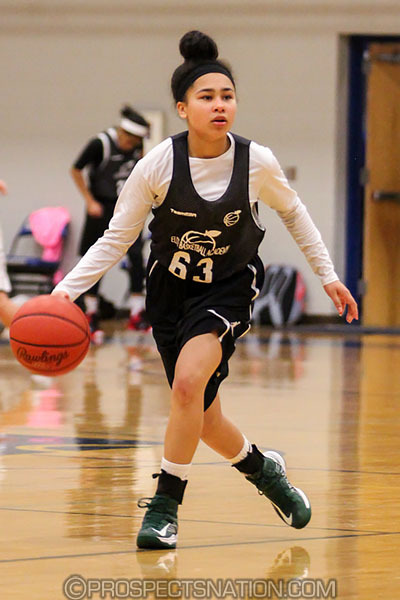 The 5-10 guard showed her skill and athleticism all afternoon at the showcase. Seemingly no one in the building could keep Hemingway from turning the corner with her dribble to get downhill. 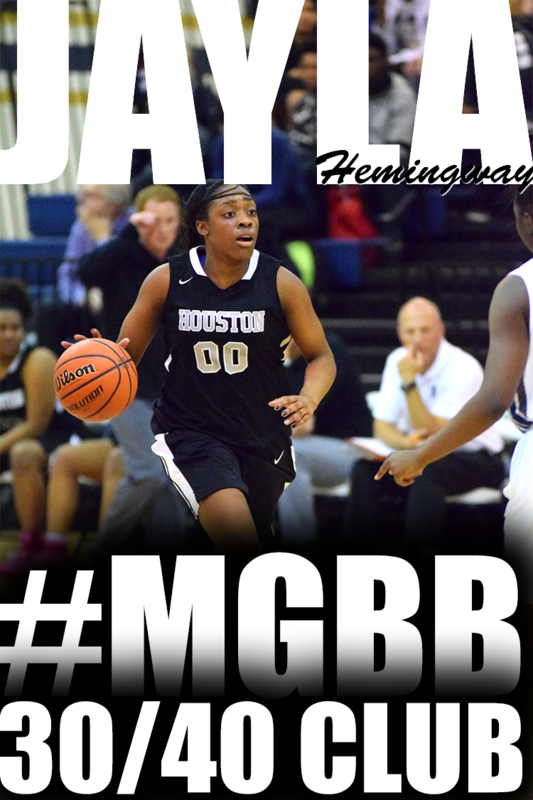 Given what we know about her work ethic, expect Hemingway to keep improving on both ends of the floor in years to come. We really liked what Alexis Taylor of Collierville, Tenn., brought to the court. 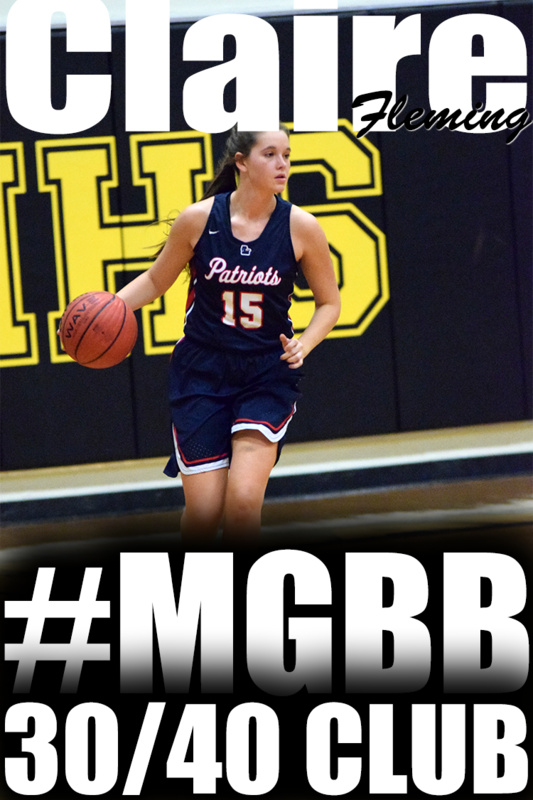 She is a high energy guard who makes plays with the dribble. She becomes a very tough cover when her jumper is dialed in, because perimeter defenders have to fight over the high ball-screen. Her go-to skill, however, is her ability to create plays at the point. Over the weekend, some of our local seniors traveled to Little Rock, AR to participate in the Mike Conley Jr.'s All Star Classic. They overcame a 17 point first half deficit to beat the Arkansas team by one. The second annual CoachHemi.com Spring Showcase was recently held at Wilson Central High School (Lebanon, TN). 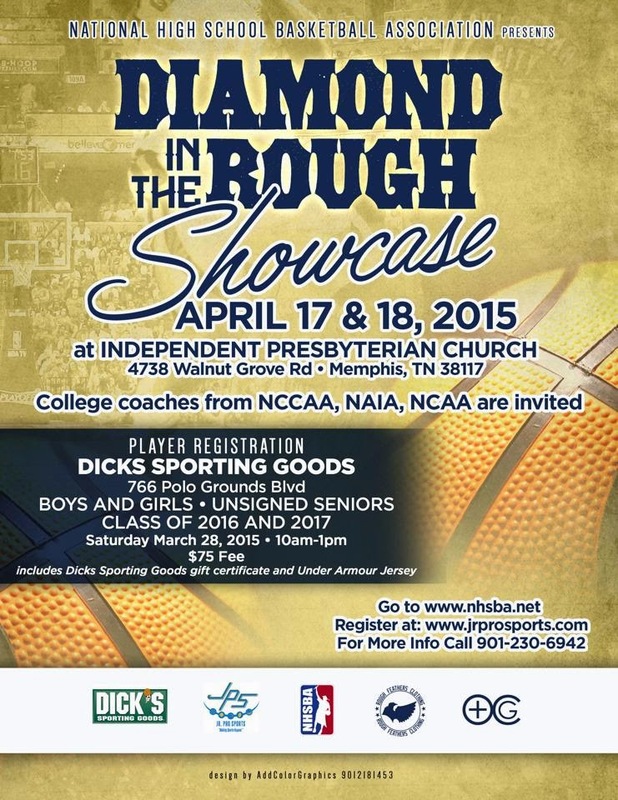 Desoto Central's Zaire Hicks and Houston's Jaida Roper made quite an impression at the event. Check out what ProspectsNation.com had to say. 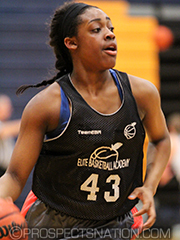 Perhaps the biggest stock riser of the event was Jaida Roper (2016) of Memphis, Tenn. 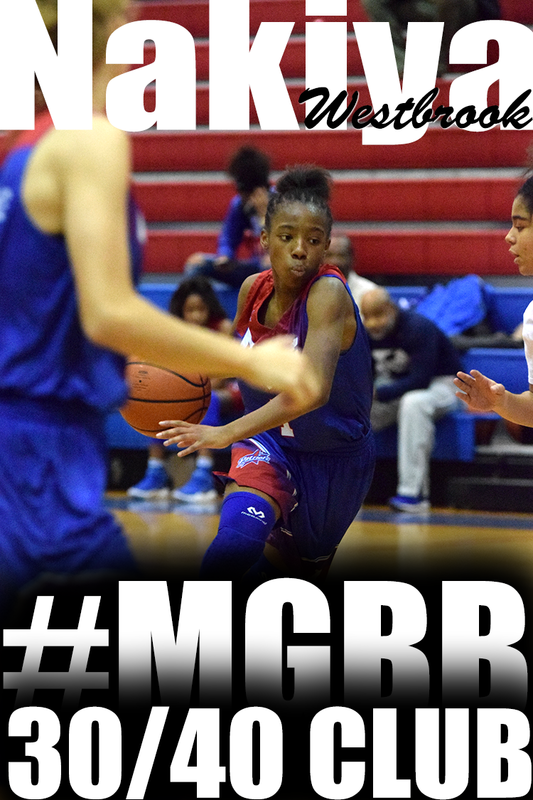 The athletic lead guard slashed into the lane and created scoring opportunities for her teammates. Although a capable scorer, she was a willing distributor in this setting. Zaire Hicks (2017) of Olive Branch, Miss., is a playmaking point guard with good court vision. She handles the ball well with good change of direction. She made back-to-back pinpoint passes for scoring opportunities.